Garden tours in November, spring in New Zealand are a joy. This from Auckland in the North Island, subtropical climate, maritime too. 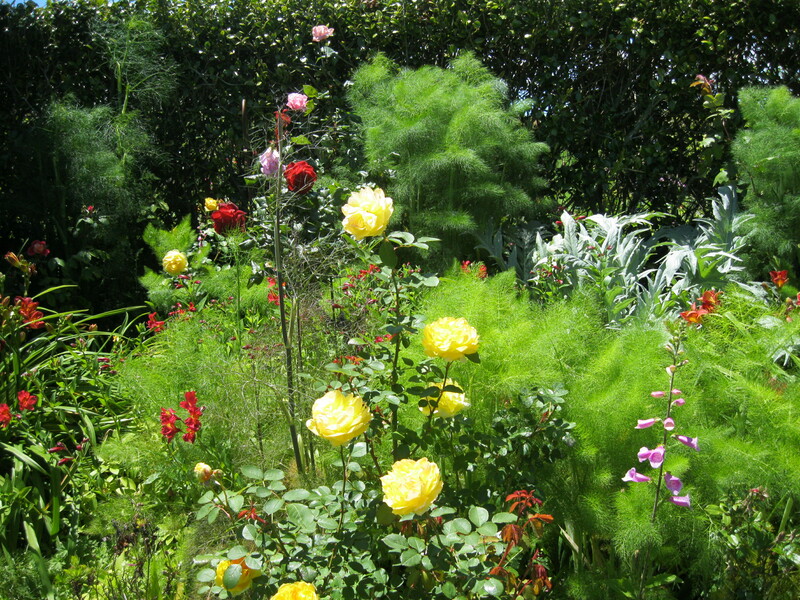 The soft cloud of fennel planted behind the roses enchanted me yesterday. As a gardener, I’d never have thought of that combination! It’s like painting a picture – you have sharp lines – found lines – and lost lines – soft. 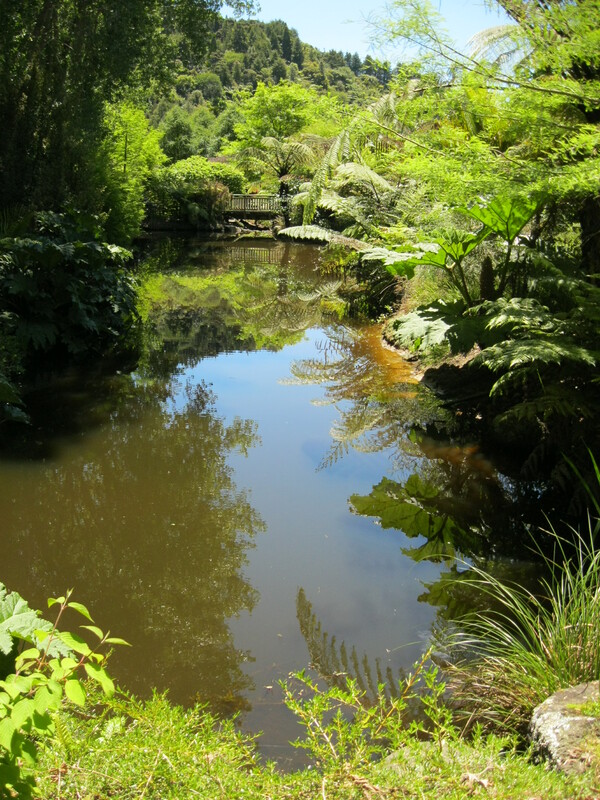 The water features in the gardens on the tour all had their own charm. This one captured the mysterious essence of shadows and reflections, the found and lost edges of the trees, above and below, softened by the water and creating a new dimension to please the eye. 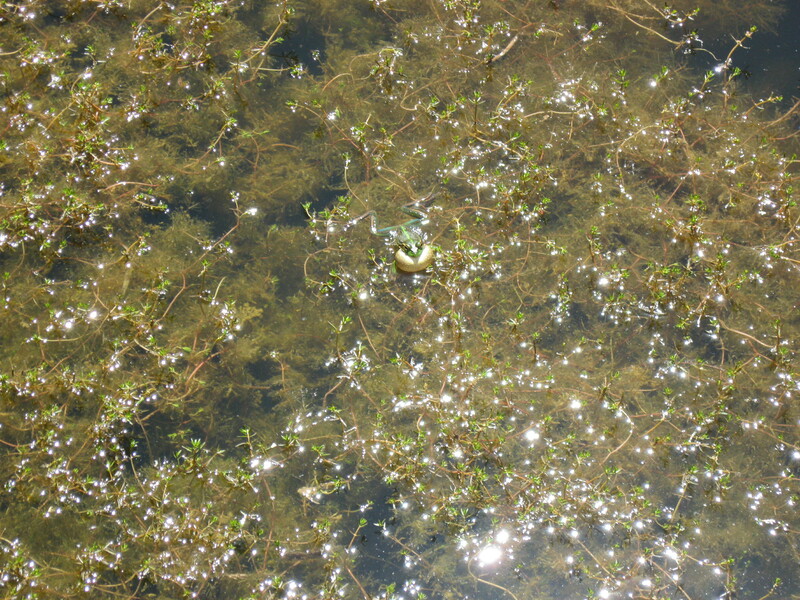 One garden mini-lake had several frogs croaking in a chorus among the soft water weed. The cropped photo didn’t appear, but check out the enlarged picture and see the small green frog expanding his cream throat like a drum head. It made an impressive sound for one so wee.